A petition has been filed in the Supreme Court seeking enquiry in corruption allegations against Justice Ram Krishna Gautam, who was appointed judge of Allahabad High Court last Thursday. The petition filed by "Progressive Lawyer Association", a Meerut-based NGO, is against the decision of Allahabad High Court whereby a writ filed by the Association challenging the enquiry report which gave Justice Gautam a clean chit was dismissed. On Tuesday, Senior Advocate Vikas Singh mentioned the matter before CJI Ranjan Gogoi, in view of the scheduled oath taking ceremony of Justice Gautam on Thursday. 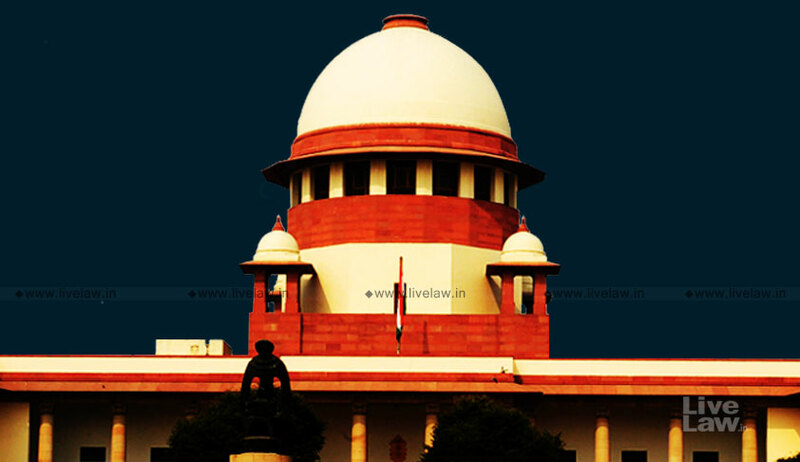 The matter was assigned to the bench headed by Justice Madan B Lokur. When the matter came up before the bench of Thursday, Justice Lokur recused from hearing. CJI Gogoi and Justice Lokur are part of the SC Collegium which recommended the elevation of Justice Gautam. Justice R K Gautam was a District & Sessions Judge. It is alleged that he was associated with crime syndicates and he handed down acquittal orders to several prominent accused persons after receiving illegal gratification. He was alleged to interfere with the judicial functions of subordinate judges so as to influence final judgment. District Judge, U K Sirhoi, had made a representation to the Allahabad High Court alleging misconduct and corruption on the part of Gautam. The petitioner also sent a representation supported with an affidavit to the High Court of Judicature at Allahabad,specially pointing out instances of misconduct by him. As an instance of misconduct, it was stated that the judge had took part in the birthday party of the son of an accused in a prominent kidnapping case, which was pending before him. The photos of the judge in the party had gone viral in social media. The then CJ of Allahabad HC, Justice Chandrachud, initiated a vigilance enquiry by OSD Vigilance against the judge. The Association filed a writ petition seeking enquiry by a Special Investigation Team under supervision of a retired HC judge. The petition was later withdrawn on direction from HC to pursue the matter on the administrative side. "In the month of July 2016 when the enquiry was going on and Mr. Gautam was not cooperating and creating hurdles by notproviding evidence in his possession as District Judge then on hue cry made by petitioners he was transferred to nearby District Moradabad that too in anticipation of vacancy by the then Hon’ble Acting Chief Justice Mr. V.K. Shulka that too just two days before arrival of new full fledged Chief Justice of the High Court Hon’ble Justice Dr.D.V. Bhonsle and the said Additional District Judge, Meerut Mr. Umesh Kumar Sirohi was also transferred to Ambedkar Nagar", the petition states. It is alleged by the petitioner that the course of vigilance enquiry was later toppled. The petitioner was not permitted to adduce evidence and participate in the enquiry. "The inquiry office deliberately did not take in to consideration the documentary evidence produced by complainants. The inquiry office did not even collect the data for a particularly period showing how many cases were transferred at the wish of the accused and how much of the such cases resulted into acquittals and is there any co-relation between these two acts". The inquiry report giving Justice Gautam was challenged by the petitioner in the High Court. The HC did not interfere with the report. Challenging this, the present petition has been filed in SC, seeking a fresh probe against Justice Gautam.